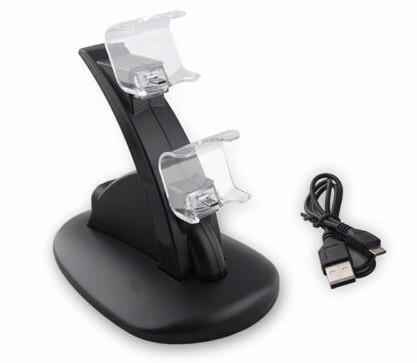 Built with LED lights to indicate charging status. 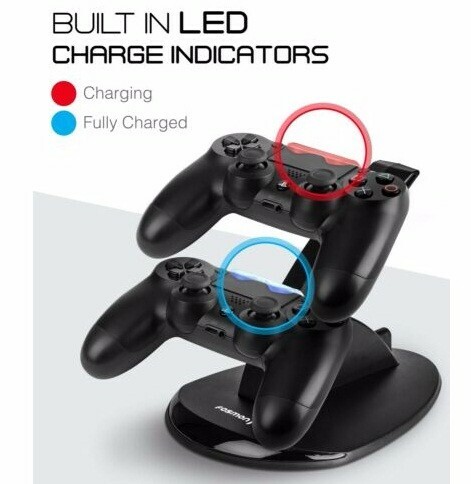 It's red when the Dualshock 4 wireless controllers are charging, and turns blue when they are fully charged. 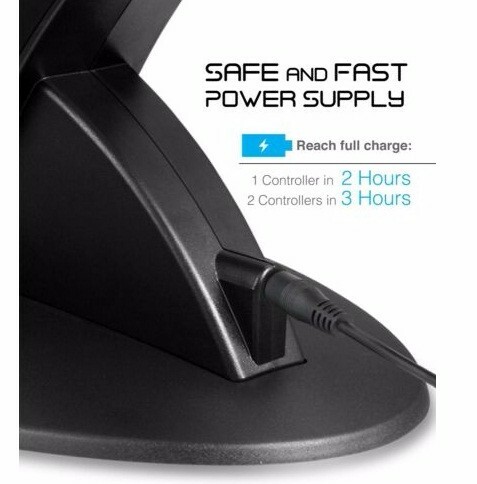 This PS4 controller charger can fully charge your controllers in less than 3 hours. 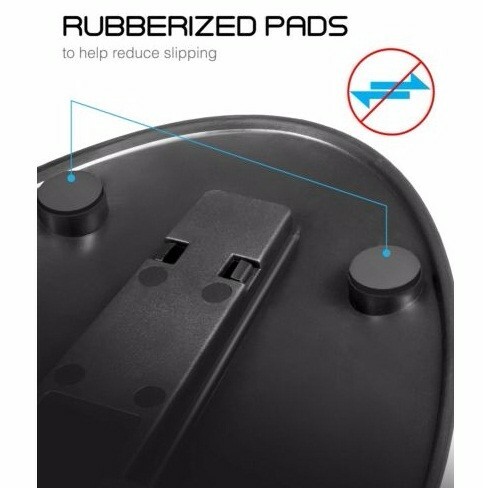 Save space and look sleek while doing it. 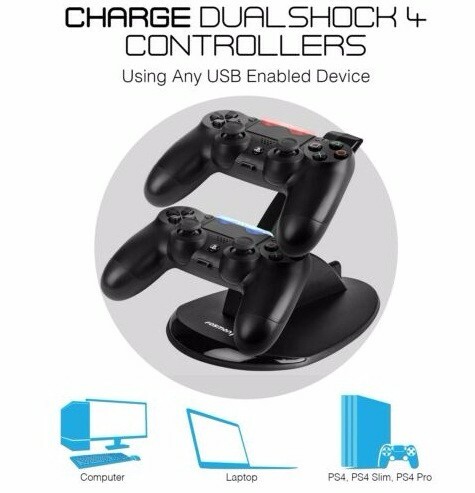 It's capable of charging two controllers at the same time. 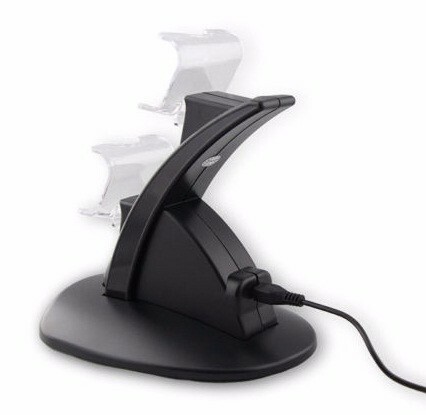 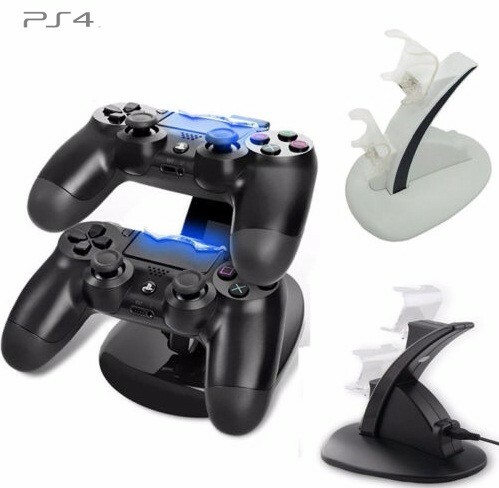 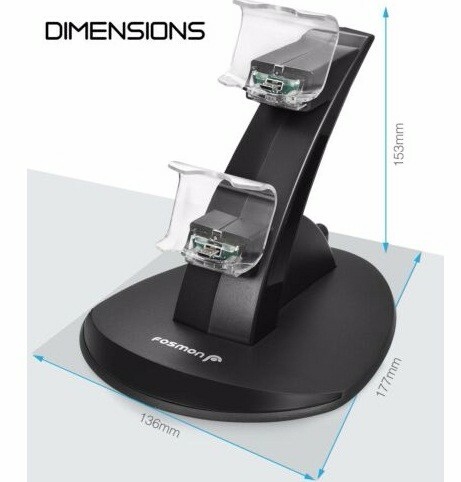 To charge your controllers, simply plug the USB cable into your PS4 or any USB charging port and dock your controllers into the stand.